NASA just released another ‘selfie’ image taken by the onboard AI on the Curiosity rover currently exploring the red planet. As usual though a plethora of social media cretins logged on to denounce the photograph and raise suspicions of its authenticity. However one response so far has pretty much manage to silence the critics and I like it. 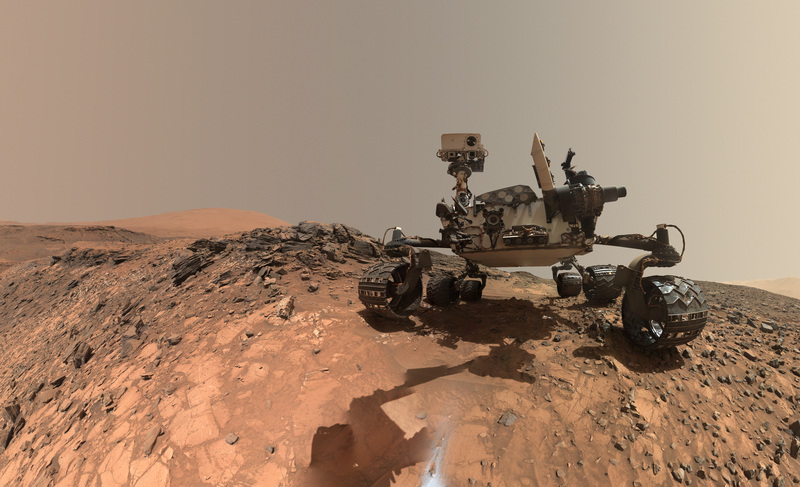 If the scientists at NASA are clever enough to send a robot to Mars, I’m pretty sure they can get it to take a selfie without the arm in the image. If you’re still not absolutely convinced, or would like a brief explanation of how it’s taken you should watch this short animation. 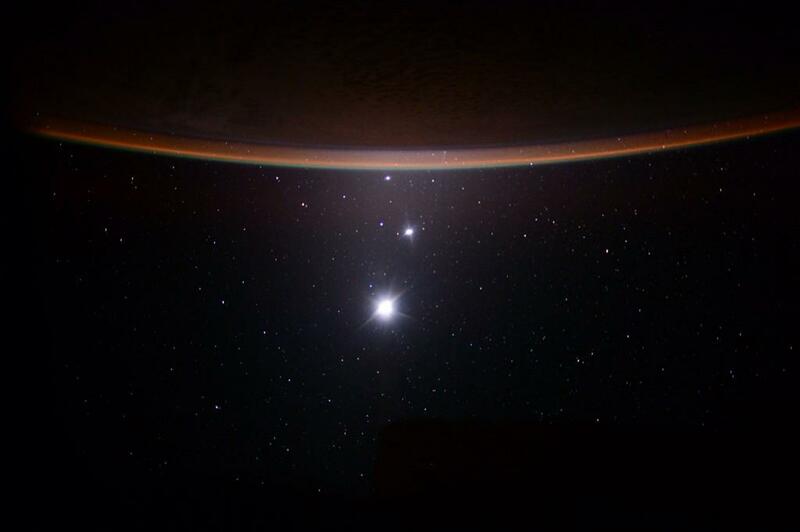 Space Odyssey 2015: Yep, this is a real photograph taken by astronaut Scott Kelly. 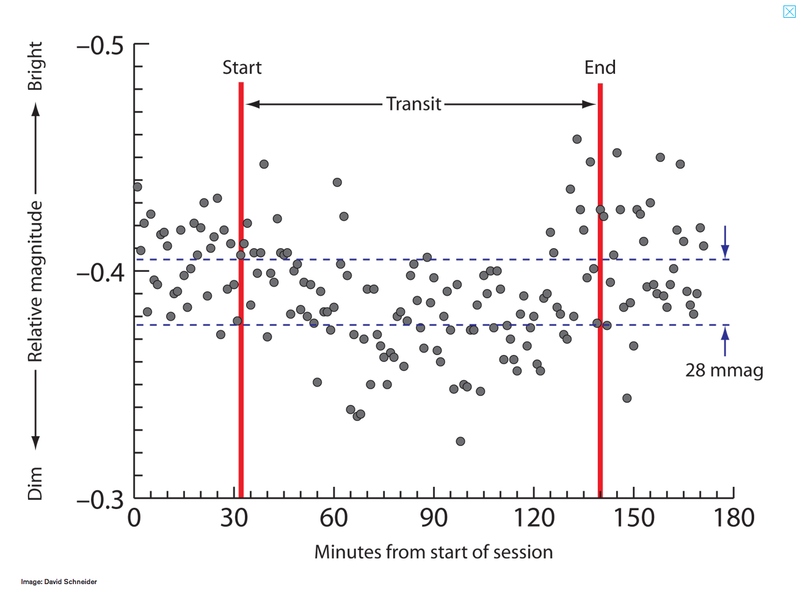 Two hundred and fifty miles above the Earth, a group of astronauts are orbiting our planet conducting experiments on the International Space Station. Occasionally they get to relax and have some down time and take photographs. Commander Scott Kelly, like one of his predecessors uses those precious moments in Space to take awesome photographs. What you’re looking at is a photograph of (top to bottom) Earth, Jupiter, Venus and the Moon all lined up in the same image. The photograph was taken from the ISS on the 19th July this year and retweeted almost 10,000 times. Frankly I’m appalled at myself for not picking this up earlier, but better late than never. The image strikes an uncanny resemblance to Stanley Kubrik’s opening title’s sequence to the 1968 film Space Odyssey 2001 or more likely, later in the film when we’re treated to a stunning view of the Jupiter & its moons suddenly aligning. Don’t be fooled either into thinking Kelly’s image is anything more than a beautiful photograph of a conjunction of Solar System from his vantage point. This alignment has absolutely no effect on us, planets, our gravity whatsoever. In fact they happen quite frequently. 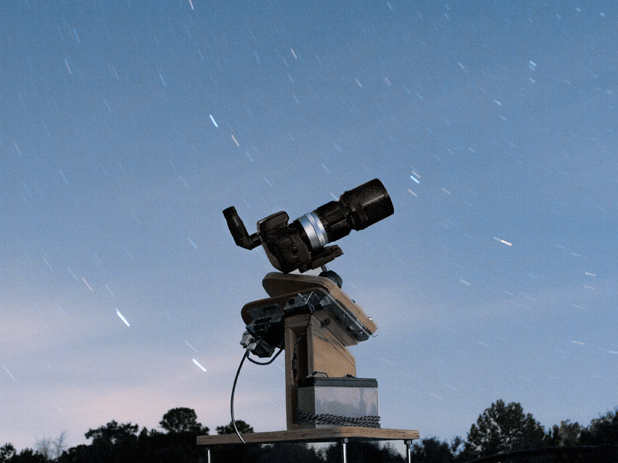 If you’re interested in finding out more about our place in the cosmos and planning your next starry night photoshoot, check out Stellarium.org, a great tool for tracking objects in the night sky. Spacealignment, can astronauts see stars?, can you see stars from the Moon, can you see stars in space, conjunction, earth, great conjunction, jupiter, Jupiter alignment, moon, photographs of space, photos from the space station, scott kelly, space, venus, What is a planetary alignment, why are there no stars from the space station? With no less than 33 images attributed to him on Astronomy Picture of the Day Rogelio Bernal Andreo is one of the most respected astrophotographers on the planet. In fact, his images are so beautifully clear, it’s hard to believe he’s taking them from inside our atmosphere. Recently this image of the constellation Orion has been receiving a growth spur and deservedly so as a meticulous amount of work was required to capture it. Amongst other things you can see the Witches Head nebula, the Flame nebula, the Horsehead nebula, Barnard’s Loop, the Running Man nebula and of course the Orion nebula. It is, as anyone in the Northern hemisphere will recognise an absolutely enormous part of the sky and to have such an incredible amount of detail there is breathtaking. Of course you can’t see these gas clouds with the naked eye, although you would have some limited success with Orion’s nebula found in the middle of the sword with a pair of binoculars. 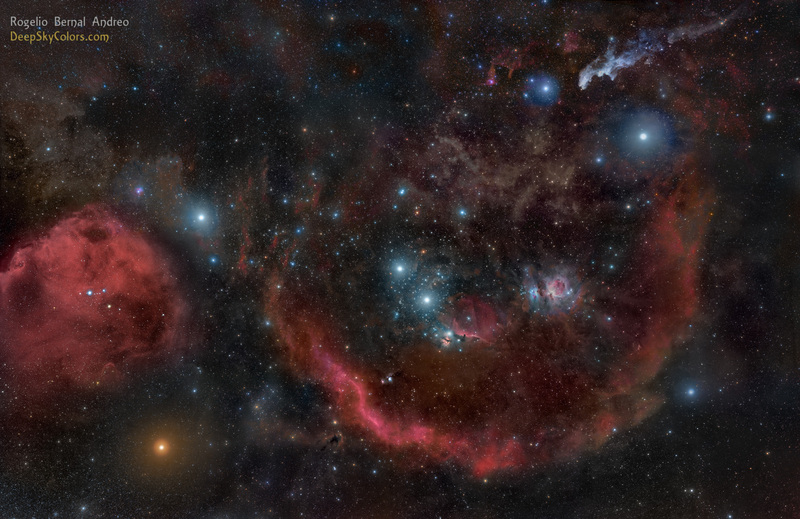 To bring out more detail Rogelio made use of a narrow hydrogen alpha-filter and exposed for a total of 28 hours stitching together 32 images. 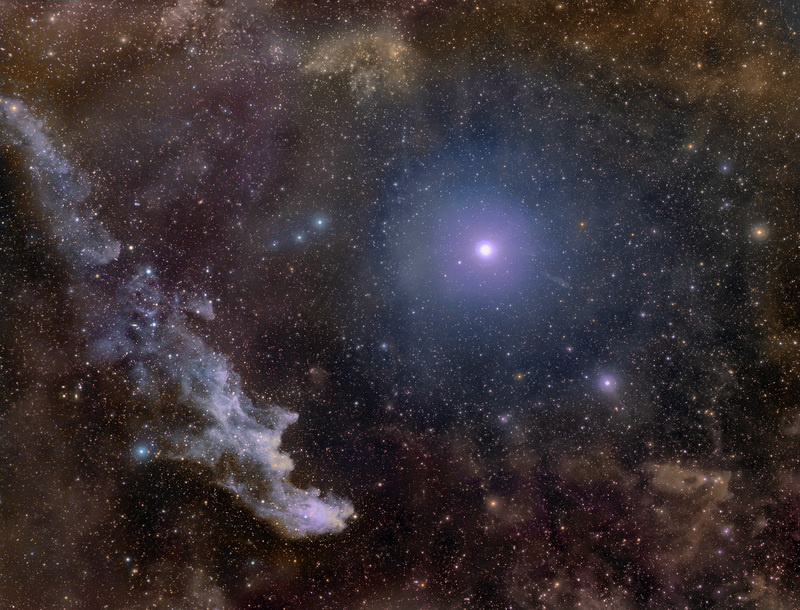 Take a look at a detailed section of the top right revealing the ever spooky Witch Head nebula. 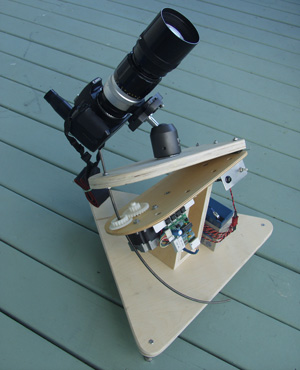 Rogelio began his astrophotography career like many of us; experimenting with is DSLR camera. Rogelio calls this his ‘introductory stage’ and has since moved on to dedicated CCD sensors to capture his images of the dark skies. Don’t worry though, ‘RBA’ as he’s known online still uses his DSLR to compose magnificent landscapes. During a 17 minute video uploaded to NASA TV’s Youtube channel this week we were privy to the short, but explosive moment that can be seen from the Soyuz capsule window during reentry to the Earth’s atmosphere. The terrifying ordeal that every astronaut prepares for is only visible in the video for a brief 10 second moment. The hypnotising loop of colours, sparks, reds and yellows wouldn’t look out of place as a scene in Interstellar, Chris Nolan’s new Space epic. 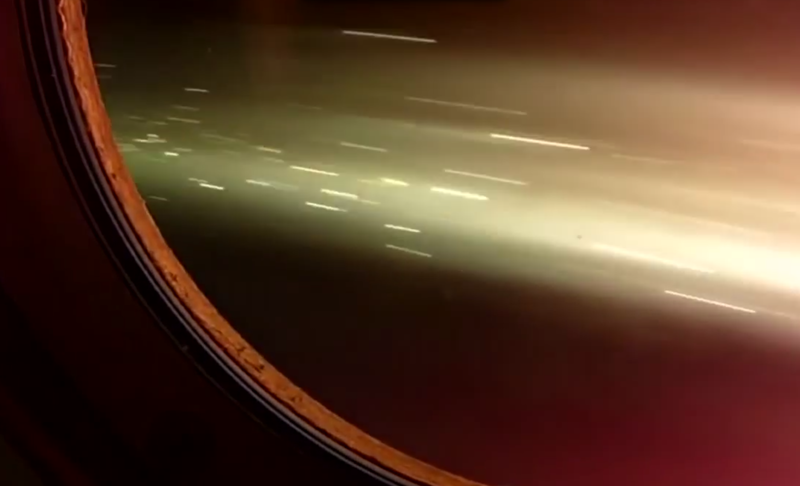 Gizmodo put together a short Gif so you can experience the moment on loop.